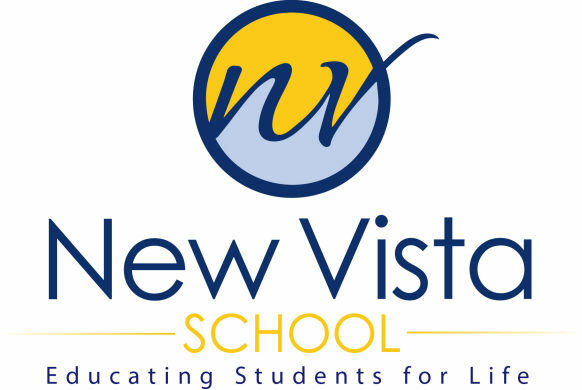 New Vista School offers a high school program which provides academic learning and transition support for students looking toward a college or vocational placement. Course offerings encourage academic excellence, intellectual stimulation and executive functioning skills, while incorporating social skills development into the curriculum. Students placed in the academic and transition program must attend seven periods a day. Through class curriculum, teachers consult and collaborate with one another to correlate topics being taught in order to fully enhance student learning and the curriculum is based on the California Common Core and Teaching Standards which have been adopted to meet the needs of New Vista School students. A cross-curriculum approach is maintained. Students are NOT required to take and/or pass any high school exit exams in order to receive a diploma. Students may earn a high school diploma by meeting New Vista School’s requirement of 225 credits. In addition, New Vista School provides a second program which leads to a High School Certificate of Completion. Students are enrolled in the High School Interdisciplinary and Transition Skills Program when a student has demonstrated the need for a more specialized and individualized education. Students in this program are provided with a curriculum which includes social and life skills that prepare students as they move towards further independence and competence in everyday life. 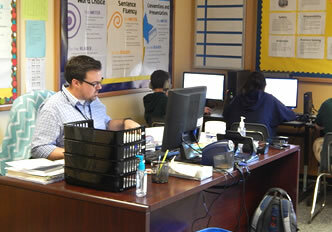 Students are also typically enrolled in the Reading Specialist Program, Math Program and a Writing Skills Program. Our focus is to provide curriculum that helps each of our students develop self-advocacy skills, further academic skills, transportation and mobility skills, and community involvement while incorporating social skill development. Our aim is to help students learn, develop, and strengthen their communication, problem solving and decision making skills so they can use these tools to successfully navigate through adult life. This includes, but is not limited to, general academic classes. Students are NOT required to take and/or pass any high school exit exam in order to receive a Certificate of Completion.